Archaeological excavations at China’s Inner Mongolia region have uncovered a series of fascinating finds, including a silk-wrapped body dating back to the era of the Northern Wei dynasty and an ornate silver bowl with engravings of Greek gods. Found at a 1,500-year-old cemetery, the discovery shows how trading of goods and valuables took place along the Silk Route between Asia and Europe for thousands of years. According to the archaeologists, who conducted excavations between 2012 and 2014, the artifacts collected at the cemetery suggest that it might have been used to bury members of a wealthy family, like the chieftain of the indigenous Gaoche people. The tribe lived during the reign of the Northern Wei dynasty, which ruled large parts of Mongolia and northern China between 386 and 534 AD. The cemetery housed six tombs, of which five belonged to people living during the Northern Wei dynasty. 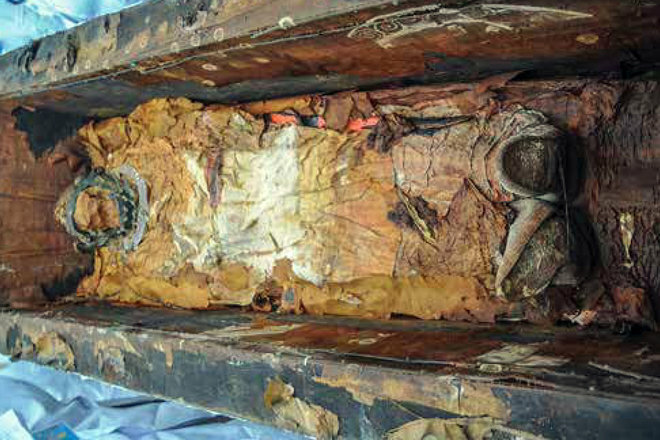 The corpse in one of these tombs was found swaddled in yellow silk. 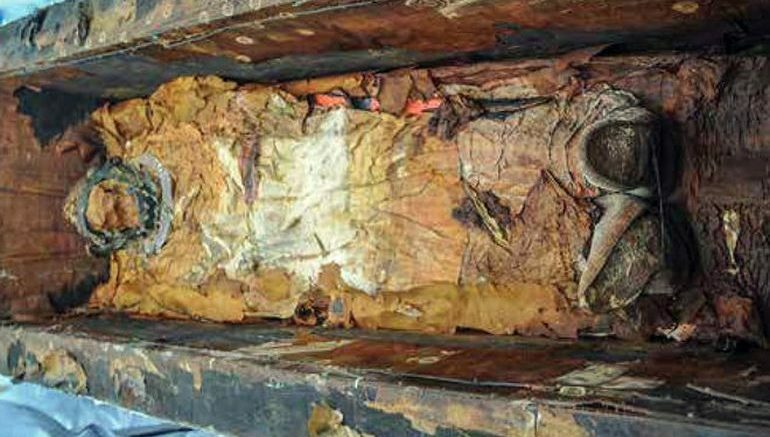 As revealed by the researchers, the deceased was buried in a coffin wearing leather boots as well as a bunch of gold accessories, such as a necklace, a belt, an ornamental headband and finger-rings. In the center of the house is seated the occupant surrounded by his many white-faced attendants, who are standing or sitting and wearing round hoods. The exaggerated face and body proportions of the main occupant distinguish him sharply from the attendants. 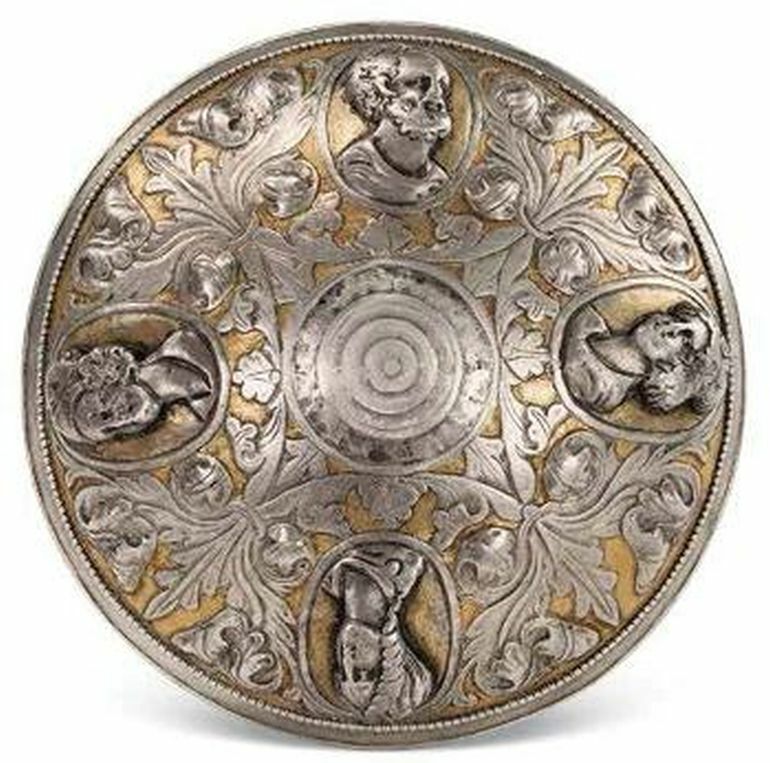 Among the artifacts uncovered at the excavation site was a silver bowl, featuring four bosses or protrusions situated along the circumference. According to Song Guodong from the Institute of Cultural Relics and Archaeology, the figures on the bottom side of the bowl are actually Zeus, his wife Hera, Athena and Aphrodite. It had probably come from somewhere in west or even central Asia.